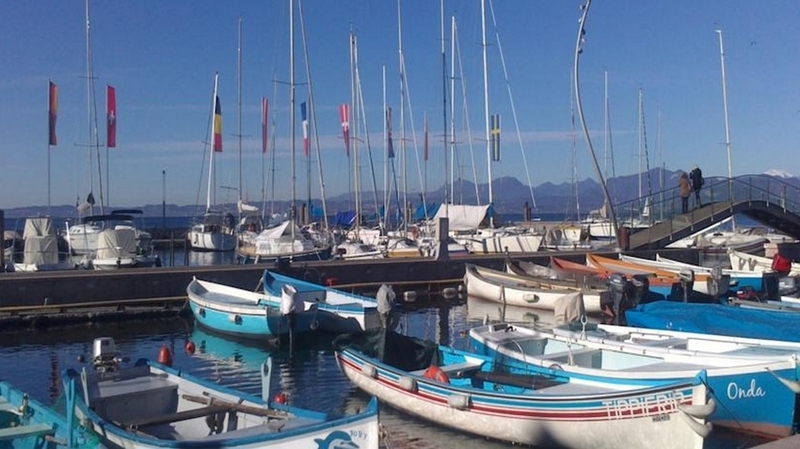 Our B&B Le Fate is located in the picturesque locality of Lazise at the eastern shore of Lake Garda. 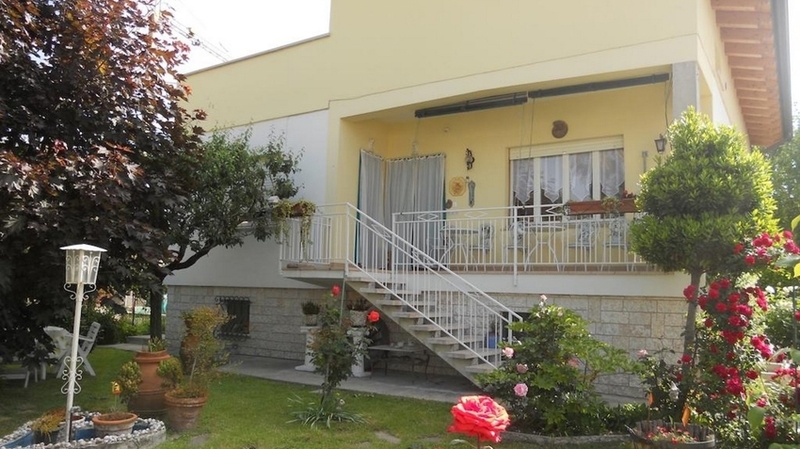 The small villa is surrounded by a quiet residential area and is characterise by a central position and good accessibility of the most important attractions at Lake Garda. 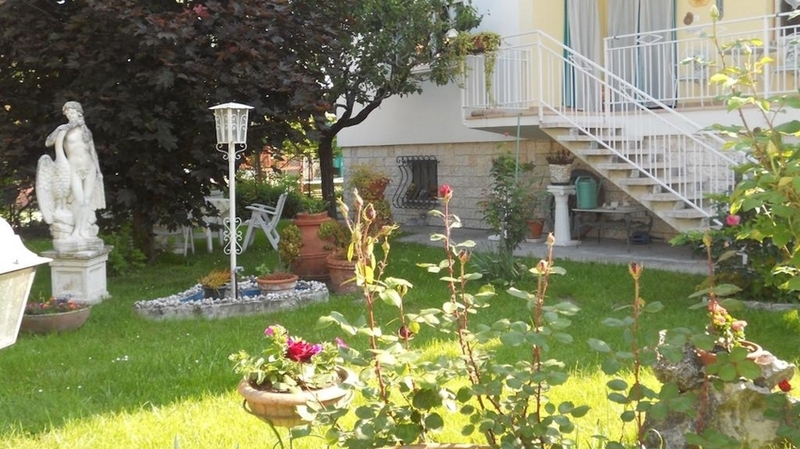 As well, you will look forward to a beautiful, well-kept garden for relaxing moments. 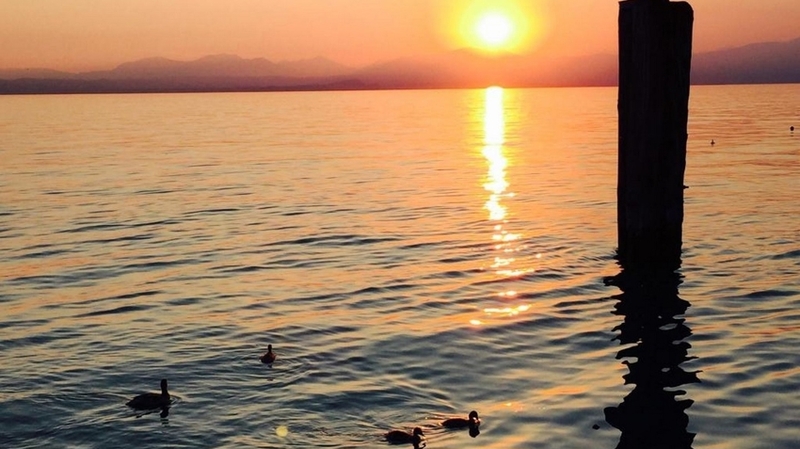 Be it as a couple or with the whole family – in our lovingly designed B&B, you can enjoy relaxing and unforgettable holidays at Lake Garda. 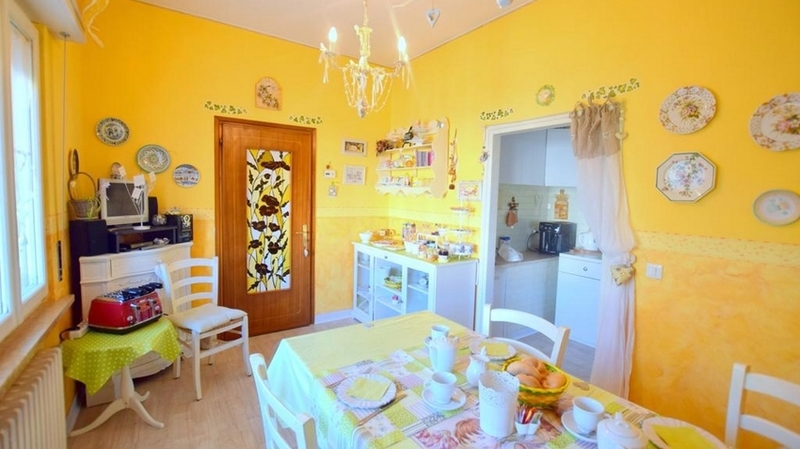 Our guest will look forward to three double rooms, each with bathroom, as well as to an apartment in the attic, which is furnished in a comfortable and elegant way. 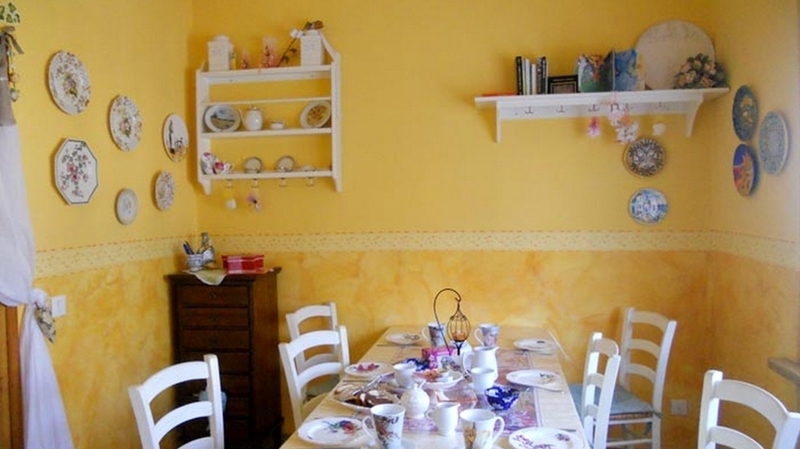 The premises are designed with fairy-tale colours and offer comfortable furnishings. 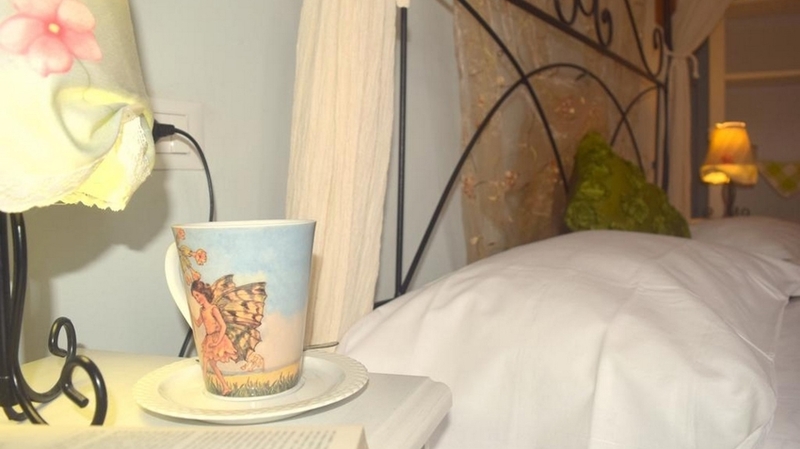 The rooms have a bathroom, hairdryer, towels, a fan and bed linen. 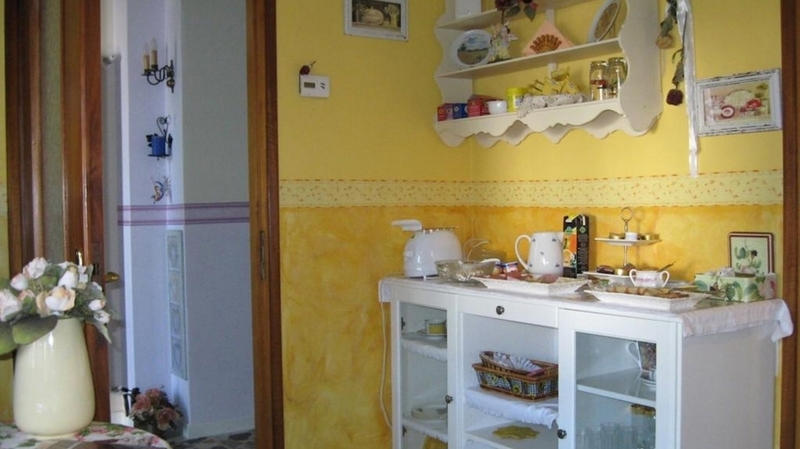 Moreover, the apartment das a fully equipped kitchen and a terrace with a view. 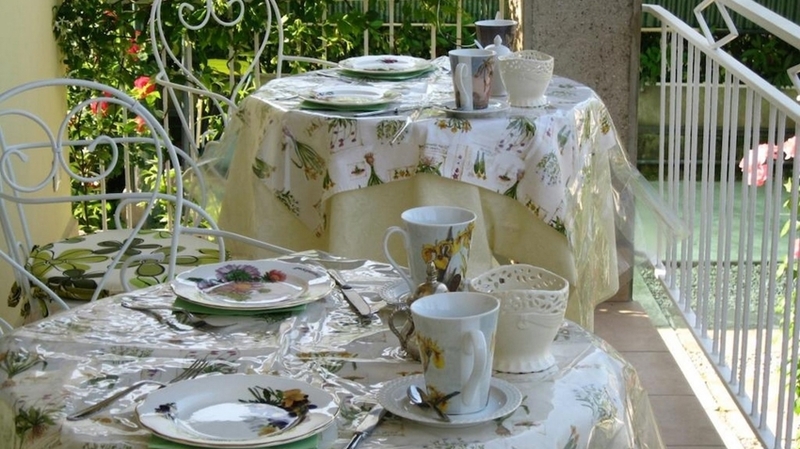 In our breakfast room or on the small terrace, you can enjoy our delicious breakfast every morning. For our small guests, we offer a highchair and a baby bath. Parking possibilities are located right next to the B&B. 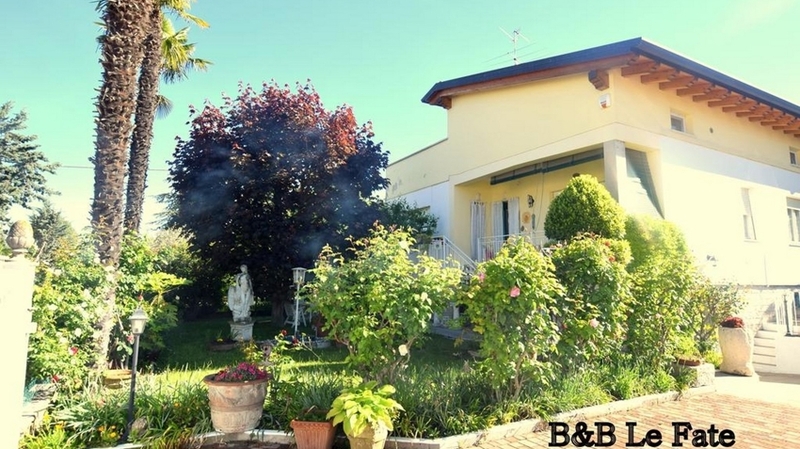 B&B Le Fate in Lazise allows you to reach the most popular attractions and sights in the surroundings easily and quickly. 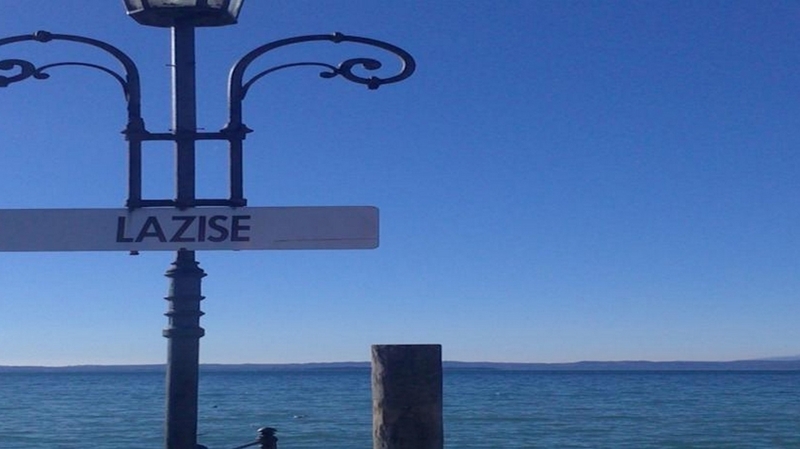 The Medieval centre of Lazise with the historical Dogana Veneta, the Scaliger Castle as well as countless shops, restaurants and bars is always worth a visit. 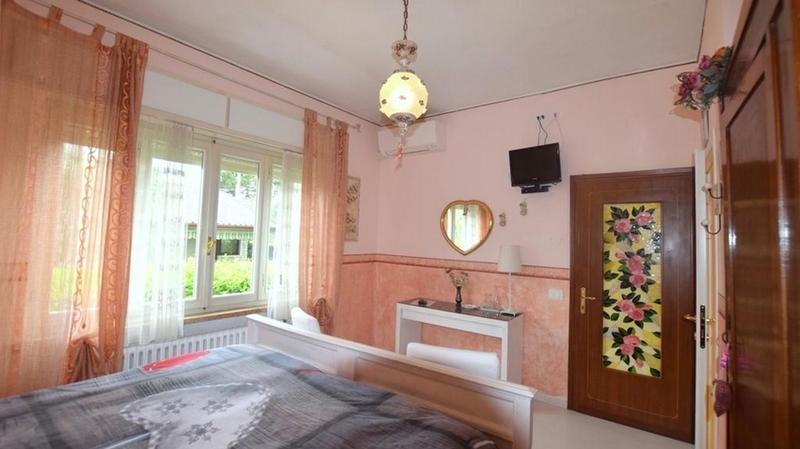 Gardaland is located within 4 km of distance, Movieland 2 km, Natura Viva park with zoo safari only 8 km and Villa dei Cedri thermal baths only 1.5 km from our B&B. As well, you can go to the city of Verona within only a few minutes by car. 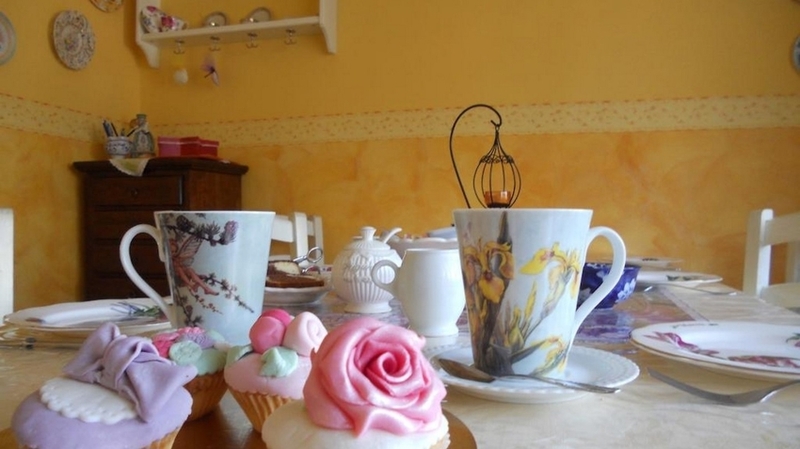 We are also pleased to give you tips for activities and culinary experiences in the surroundings. 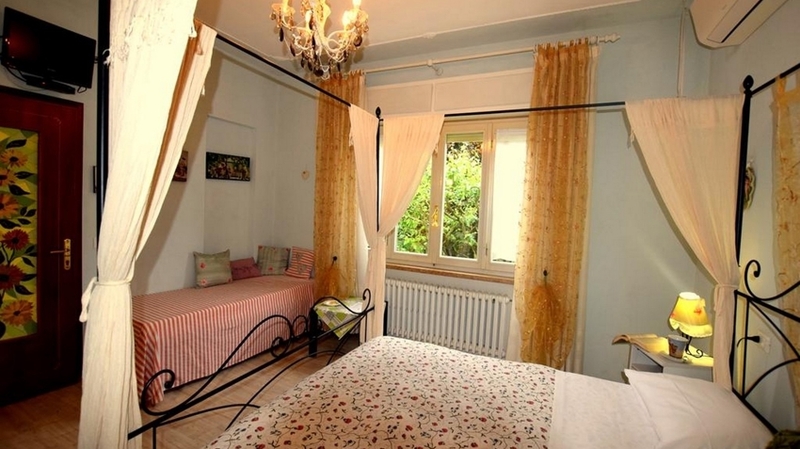 Large and romantic double bedroom, with the possibility of extra bed. 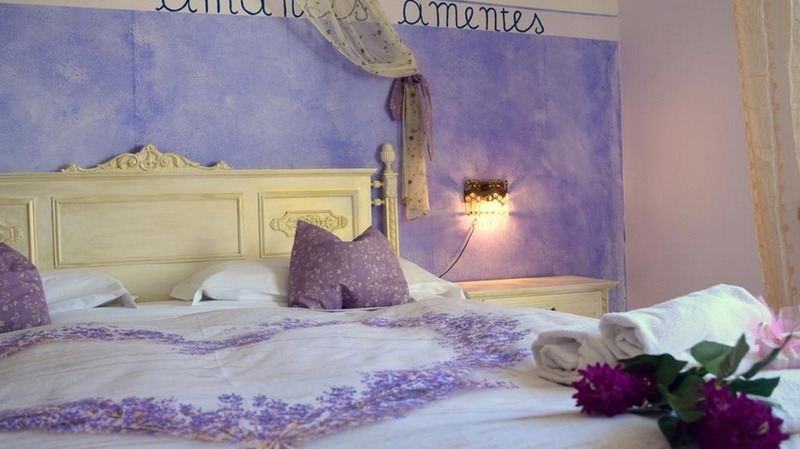 Furnished with shabby chic style decorated in colors of purple and white, has a double bed 190x160cm, 90x60cm single bed, satellite TV, private bathroom with shower, wc, bidet and washbasin with window. Soap neutral hands / body, hair dryer. Fan. 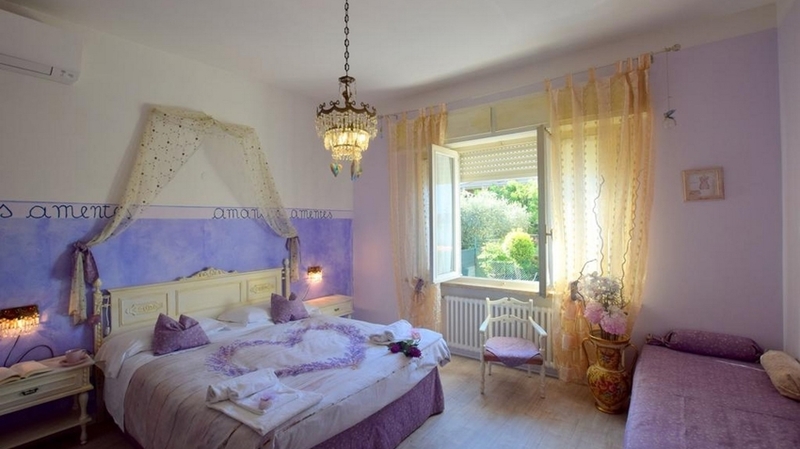 Large, romantic room, with big window, furnished with antique and modern furniture in Shabby Chic style in shades of pink. 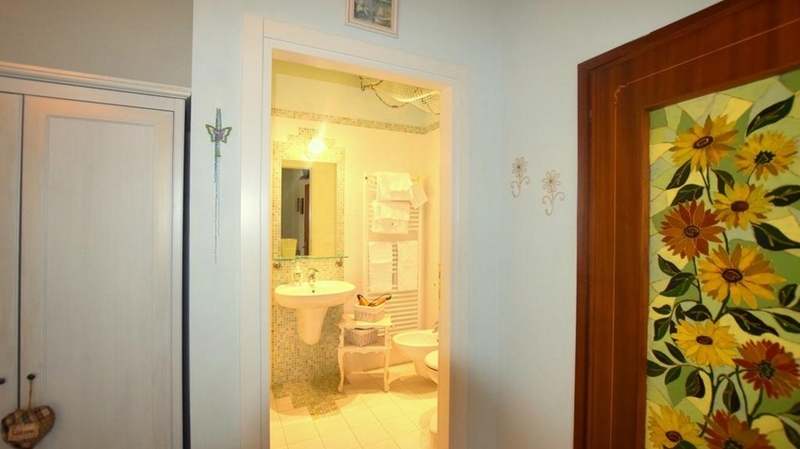 Bathroom with shower, wc, bidet and washbasin. Satellite TV, fan. Neutral soap hands and body, hair dryer. 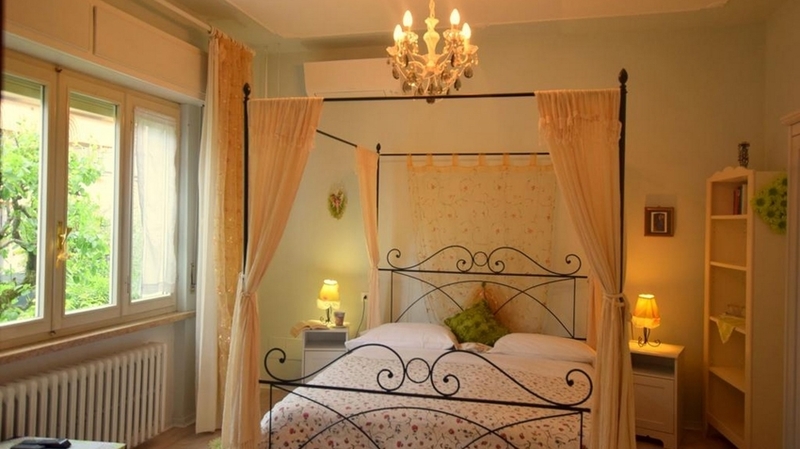 Large double room with large window, decorated with iron bed canopy, in shades of green, possibility of extra bed. Bathroom with shower, wc, bidet and washbasin. Neutral soap hands and body, hair dryer. Fan and TV Sat.